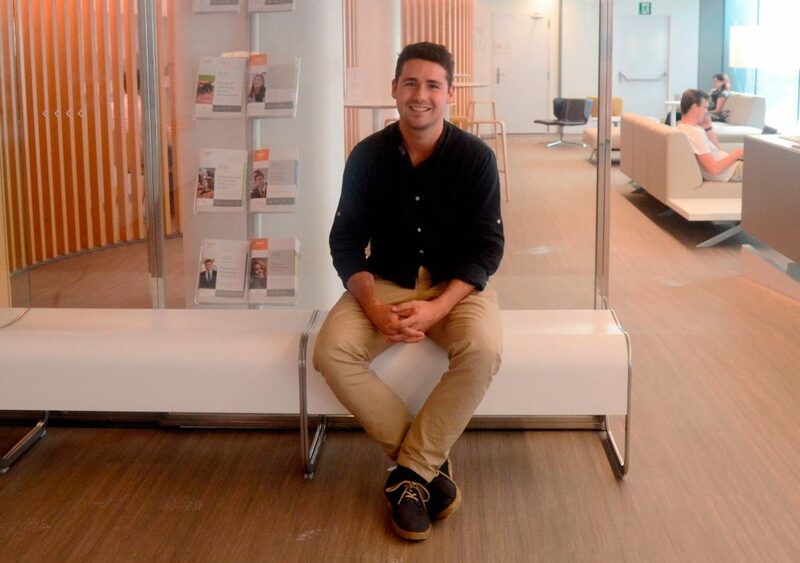 Just after finishing the EADA’s International Master in Management last summer, the Belgian Adrien Duchâteau travelled to Dublin to start working at Linkedin’s EMEA Headquarters as an associate in their Business Leadership Programme. Over the past 6 years, he lived in 6 different countries, allowing him to become open-minded, agile and resilient. In the following interview we talk to him about all these experiences and the new challenges from now on. I realised that this would definitely be a great opportunity to kickstart my career. 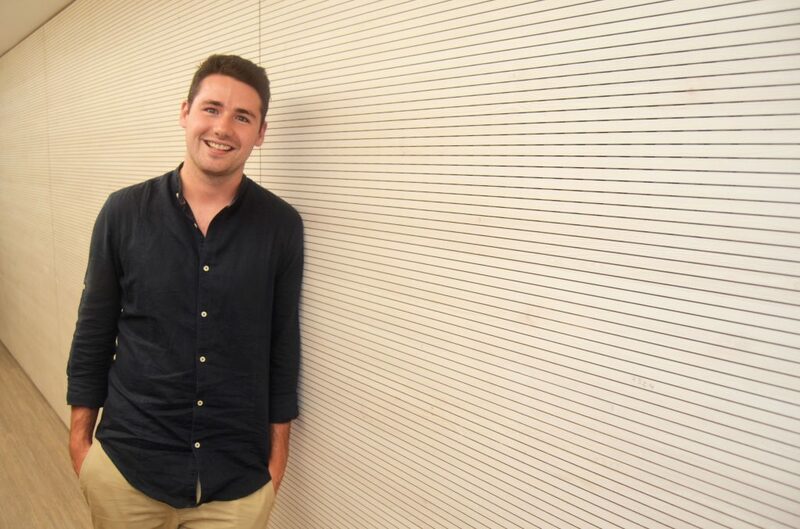 When attended a conference given by EADA Alumnus Yannick Kpodar -Global Product Marketing Manager at Linkedin-, Adrien confirmed that he wanted to start his career at Linkedin. Tell us about your new position at LinkedIn. How did the opportunity come up? I am working at LinkedIn in the EMEA Headquarters in Dublin as an associate in their Business Leadership Programme (BLP), focusing on sales initially. However, the 18-month programme allows for numerous rotations within the company and will give me a global overview of the operations at LinkedIn. The first time I considered applying for LinkedIn, was back in October, when my brother visited the new offices in Dublin during a school visit. Lastly, when Yannick Kpodar, the EADA Alumnus who currently works at LinkedIn in San Francisco, came to give a conference about LinkedIn in November. I realised that this would definitely be a great opportunity to kickstart my career. I then applied through the general platform, and got lucky! I was selected to have an interview and advance in the process, through to the final steps, including an assessment day in the Dublin office itself. What will it represent in your career? First of all, it will allow me to acquire an international exposure to more than 60 nationalities in the office, making it challenging, but exciting at the same time. 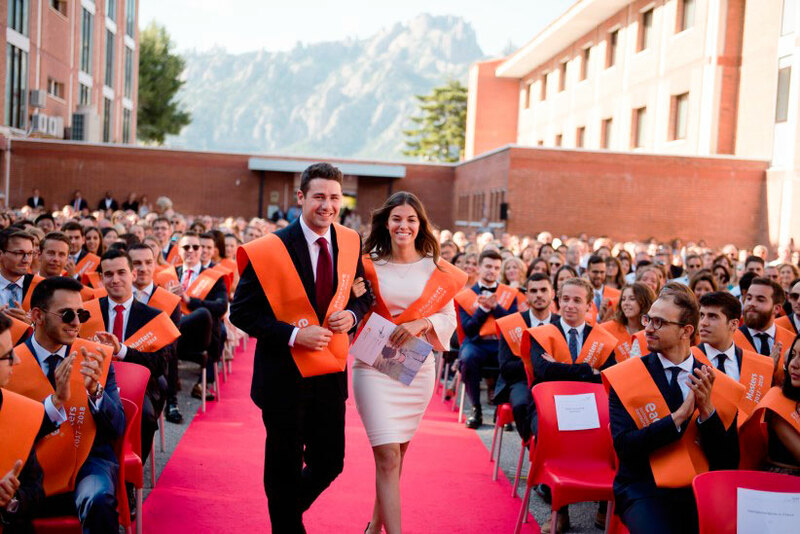 The fact that it is a graduate programme will help me to understand all facets of the business, which is very valuable, as you also get to know a lot of people within the company before starting on your first role. Lastly, I believe LinkedIn will arm me with the necessary skills to make the next leap into my career afterwards, whether it is at LinkedIn or at another company. Or who knows, it might trigger me to launch my own company, which is ultimately my dream. What does LinkedIn offer as a workplace? LinkedIn’s uniqueness truly comes from its culture in the first place. There are a bunch of companies out there trying to display their culture and values through buzzwords and online exposure of it, but have troubles putting these into practice. Their openness, honesty, transparency, positivity and approach towards employee satisfaction are simply brilliant and surely represents their main strength. Secondly, I chose LinkedIn because of the learning opportunities and employee engagement. Another unique trait of working at LinkedIn is their ‘InDay’, which is a day that is taking place once every month across all the offices worldwide. Duchâteau highlights from Linkedin its openness, honesty, transparency, positiveness and approach towards employee satisfaction. And what’s your opinion about LinkedIn as a company? LinkedIn from a business perspective is equally as impressive. Starting out as a platform that was generally regarded as an “online CV” only, they have grown out to become a fully-established social network that has attracted more than 600 million people already. The data they collect is so valuable that governments have to reach out for their help in terms of professional data in the world. On top of that, LinkedIn has also proven to be able to expand their services to offer a true online learning platform, LinkedIn Learning, where numerous courses can be taken to contribute to their vision, which is to create economic opportunity for every member of the global workforce. Apart from this, the fact that LinkedIn was acquired by Microsoft in 2016 shows how attractive the company is. A fun fact I have gotten to know during my recruitment process when I asked how the culture of LinkedIn was affected by the acquisition, the answer was: “LinkedIn has been shaking Microsoft’s culture, not the other way around”, which gives you an idea on how powerful this culture really is. How did the master at EADA help you to achieve this goal? EADA has given me the tools to be proficient in a company such as LinkedIn, that is on the edge of all the innovation we are facing. I feel prepared to embrace this fourth industrial revolution that is coming up, rather than being scared of it. I feel like I have acquired the necessary interpersonal skills at Collbató Residential Training Campus to be dealing and interacting with all the 65 nationalities in the EMEA Headquarters of Dublin. Furthermore, I feel like EADA has given me the all-round education that is key to thrive in this global working environment. What knowledge learned in class could you apply in this new job? There are countless forms of knowledge I have acquired in class that will be applicable in this new job. More than just one specific course, it has been the methodology of EADA that allowed me to gain knowledge throughout the year. Preparing for the cases allowed me to improve my analytical skills, while engaging in class during a discussion forced me to better my persuasion skills when trying to convince someone. However, next to knowledge, the whole diversity and the way of working at EADA were incredibly valuable. By being forced to work with several nationalities in stable groups, EADA really took us out of our comfort zones, and that is how we managed to grow so fast as well. How would you define your experience during the master? I think there are no words to define such an intense year, but it has to be lived and experienced to realise how much someone can grow in their mid-twenties in the space of only ten months. The main lessons for sure includes this growth. The fact that I got to know myself better thanks to the numerous challenges we faced, but also got to know how to handle the different characters, nationalities, cultures and personalities. One of the most remarkable things at EADA is that the learning does not only take place inside the classrooms, but rather outside of it, when reflecting back on everything you’ve learned. One of the most valuable pieces of advice I have learned this year has also been the importance of feedback -both giving and receiving. What are you most passionate about in business and management? I have always been passionate about business and management in general, but if I could pick a few, I would include business development, entrepreneurship, innovation and technology disruption. I have always liked to be on the edge of everything that is new, and therefore follow the start-up ecosystem very closely, where all of the previously mentioned areas come back. I hope to launch my own company one day, where I will be able to apply all the knowledge I have gained throughout the previous years. Which new trends in management interested you most? I am extremely passionate about all upcoming trends, but believe that voice recognition will make a great leap next year and that it will become mainstream in less than two years. As for my field of expertise next year, social selling is one of the concepts that is breaking through and might be a must for every salesperson from now on. Next to that, concepts such as Blockchain, Artificial Intelligence, Internet of Things, will obviously shape all of the new innovations coming up in the next few years and become mainstream to almost all industries. In terms of management and leadership in the term itself, I am very passionate about a human approach that is seeking growth in people. Having been active in sports for more than 10 years, with coaching roles, I believe that this coaching attitude can also be taken to business. Just like in sports, there is an objective and a vision. If this objective and vision can be translated well enough to the employee, it gets easier to coach each other and help each other grow. 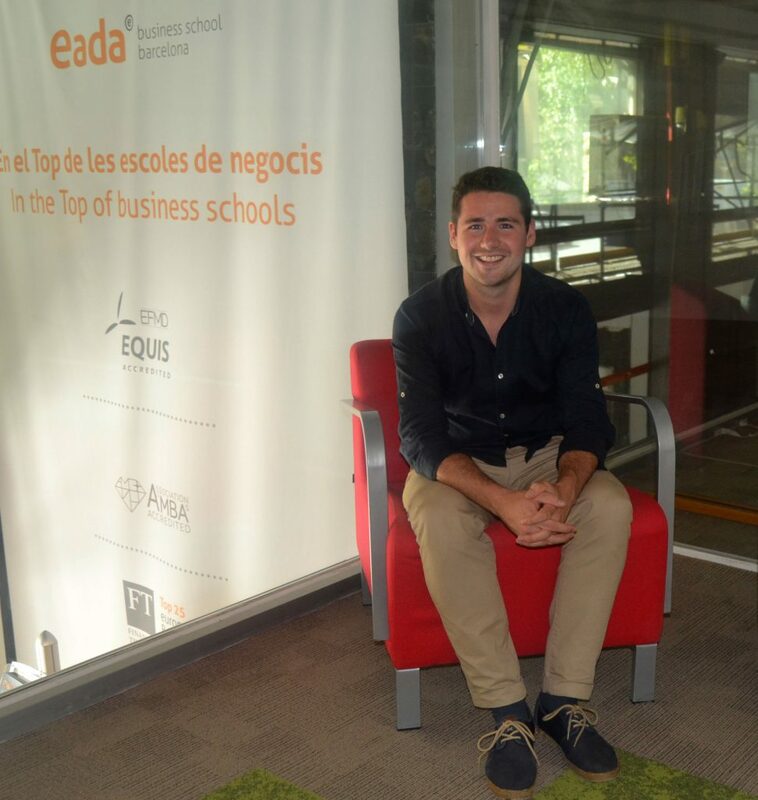 Adrien was one of the speakers at the last EADA's International Masters Closing Ceremony. I am someone who’s truly chasing a match between my values and the company’s, which is the reason I am so happy to be working for LinkedIn. Although I am aware that the world of tech companies, such as LinkedIn, Google, etc. usually has a high employee turnover due to opportunities rising up fast, I hope to stay at LinkedIn long enough to learn as much as I can, and feel challenged along the way. Once this is not the case anymore, and that I feel I can contribute to another meaningful project or company, I will make my next step. To answer the question about the 5 years, I hope to take on a managerial position in which I will be able to create a human and transparent environment with employees, where mutual coaching and positivity allow for growth within the team.